Next week, we’re holding an event in Ottawa to celebrate the journey of Terry Fallis from “guy like me” to celebrated author. It’s a remarkable story. An aspiring author writes a comic novel, The Best Laid Plans, and then seeks a publisher. The response: rejection after rejection. But he doesn’t give up. He decides to self-publish his novel. So far, this is a familiar story. But this one has a twist. This novelist is Terry Fallis. The time is 2007, the early days of social media. And Terry’s an early adopter of social media, with a podcast, a blog and 20 years experience in communications. And he decides to bring his two passions – communications and writing – to promote his book. He decides to create a podcast in which he will read a chapter of the novel each week. He creates a blog to host the podcast and he makes sure it’s available on iTunes. Then the power of social media kicks in. Terry’s novel finds an audience. They talk to him and he talks back. They celebrate what he’s doing with his podcasting his novel. And it helps that his novel, the best laid plans, is a great read. Others notice what’s going on. They read his novel and they think it’s good. And one morning Terry wakes up and discovers he’s been nominated for the Leacock Medal recognizing the best Canadian humorous novel of the year. 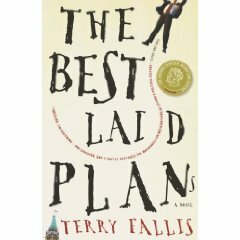 A couple months later it gets even better: Terry wins the Leacock medal.The Best Laid plans is recognized as Canada’s top humorous novel of 2008. Success builds on success. Having opened the door through social media, the critical acclaim and recognition of the Leacock medal leads to traditional success. He is taken on by one of Canada’s most highly regarded literary agents, Beverly Slopen, and she lands a traditional publishing deal for Terry with McClelland & Stewart. Terry is having the time of his life doing what he loves to do. He has written a second novel, The High Road. And it may be better than his first. But The Best Laid Plans isn’t finished with Terry yet…. Every year, CBC stages Canada Reads, an annual literature competition between books chosen by Canadian celebrities. This year, they’re doing something special. They’re asking Canadians to help select the Essential Novels of the decade. And guess what? The Best Laid Plans was nominated by Canadians to be on the list of the Top 40 essential novels of the decade. Then, through an online vote, it was selected as one of the TOP TEN essential novels. Now, we’re waiting for November 24, the day that the TOP FIVE essential novels of the decade are announced. On November 23, the evening before that short list is announced, Terry will be coming to Ottawa to celebrate Canadian publishing and to talk about how an unknown author can make an impact in the era of social media. You can meet Terry and you can be part of this event. 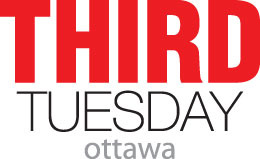 if you’d like to attend and meet Terry, register online at the Third Tuesday Ottawa website. Come join us to celebrate Canadian publishing, creativity, and the power of social media. Okay, I’ll be honest. Thornley Fallis is throwing this party for our co-founder and friend, Terry Fallis. But we also wanted to reach out to the Third Tuesday social media community, a group that Terry co-founded in 2006. Third Tuesday is important to Terry and we want to share this celebration with you. And we wouldn’t have been able to sustain this community without the support of our sponsors: CNW Group, Radian6, Fairmont Hotels and Resorts, and Rogers Communications. Thank you for helping us build and sustain our social media community, not just in Ottawa, but in cities like Montreal, Toronto, Calgary, and Vancouver as well.